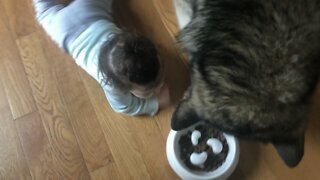 Rumble / Babies & Kids - The thing about babies is that everything is so new to them. 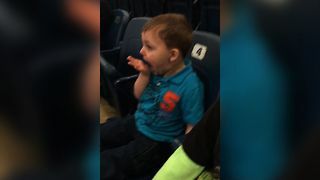 We&apos;ve all seen their reactions to their first lime, first sour grape and so on, but have you seen a reaction to some peas? 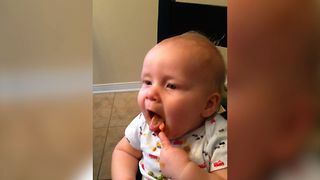 An absolutely priceless moment is captured on camera when this baby tries peas for the very first time. 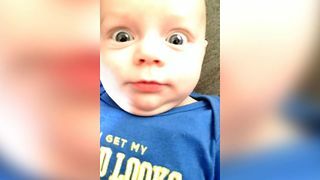 Watch this adorable little baby give an incredibly animated reaction, and in an instant everything seems OK! After making a face of disgust, this baby is ready for more! 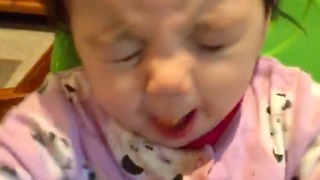 As soon as the spoon is near the baby&apos;s mouth, they open wide and take in the next load of sweet potato. How adorable! Now you have your people that like peas, and others have a strong dislike towards them. Clearly this baby isn&apos;t exactly the biggest fan of them, but they know that they need to eat it to get big and strong! Are you a pea love or a pea hater? Let us know in the comment section! 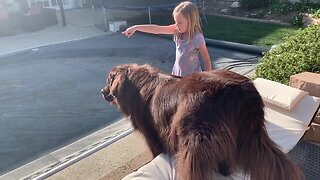 Be sure to stop by https://rumble.com/ for more adorable and viral content, and if you have your own clips, feel free to upload them as well. 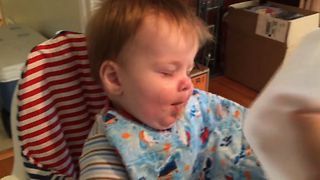 Baby Mason makes funny faces while trying peas for the very first time. 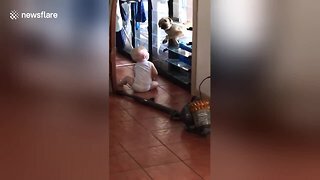 This baby is way too cute! He obviously doesn't like peas! Why do you KEEP feeding them to him? 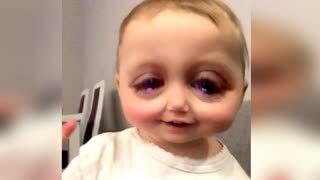 Baby's Hilarious Reaction to SnapChat App! 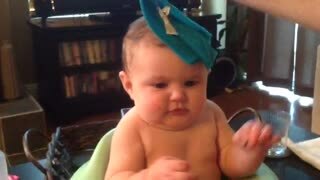 Baby's hilarious reaction to a wash cloth!